PICTURES By the uber talented @JeremyLim (www.jeremylim.ca) and Aida from @ThisIsVancity (blog.thisisvancity.com). Feel free to tag yourself in the photos or share them with your friends. If you have any pictures feel free to add it to our Flickr pool - let's keep the EastVanLove energy alive! STORIFY #EastVanLove trended in CANADA because of your love! We created a storify to capture our favourite tweets. 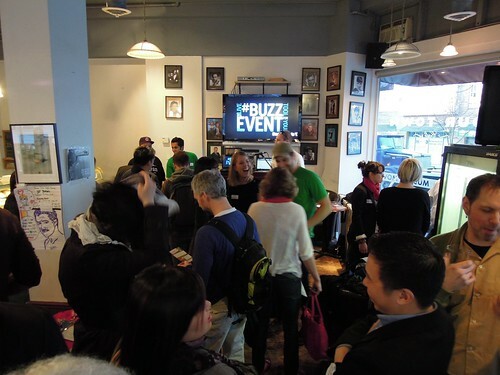 EVENT WRITEUP Featured in the Vancouver Observer: From earth to esophagus, EastVanLove Tweetup #5 focused on food written by Kelly Jean Marion (@KellyJean247 for @BeeVancity) - Thanks Kelly! Also check out this super awesome blog post from Rick Chung on Vancouver is Awesome! SLIDESHARE part 1, part 2, part 3 Curious about that food thing Richard spoke about? Need to know more about Annika's desserts + dance event, INDULGE & DANCE? Peek into our presenters' slides to learn more! VIDEO We have videos of some of our speakers! Thanks @ThisIsVancity! Thanks again to: Our speakers @FreshRootsFarm @BreweryCreekGdn @VanFoodster @SocialBites @HarvestUnion Our sponsors @GoPopcorn @Yelp_Vancouver @ThisIsVancity @BeeVancity Our food @YummyWorkshop @JenellParsons @HyggeligBaking Hai Phong Our volunteers @marghernandez_ @jamielee_ong Our cat-obsesses lady @AmyCulture We couldn't have had a more amazing event without you! 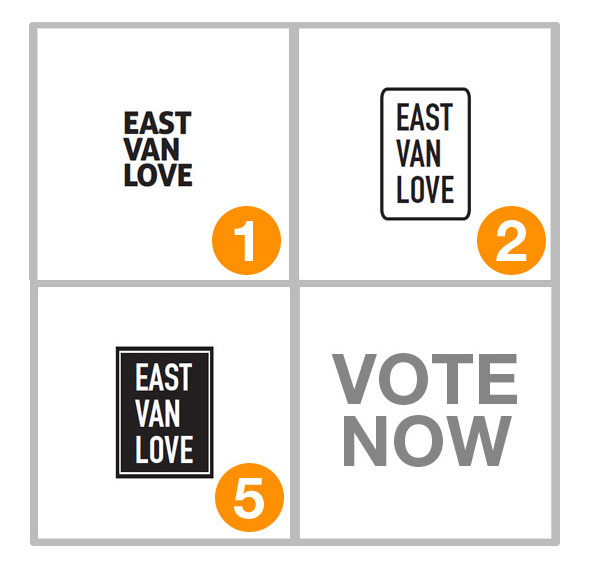 If you have any comments or suggestions to make the next #EastVanLove better, tweet us @EastVanLove! PS: Thought we forgot? 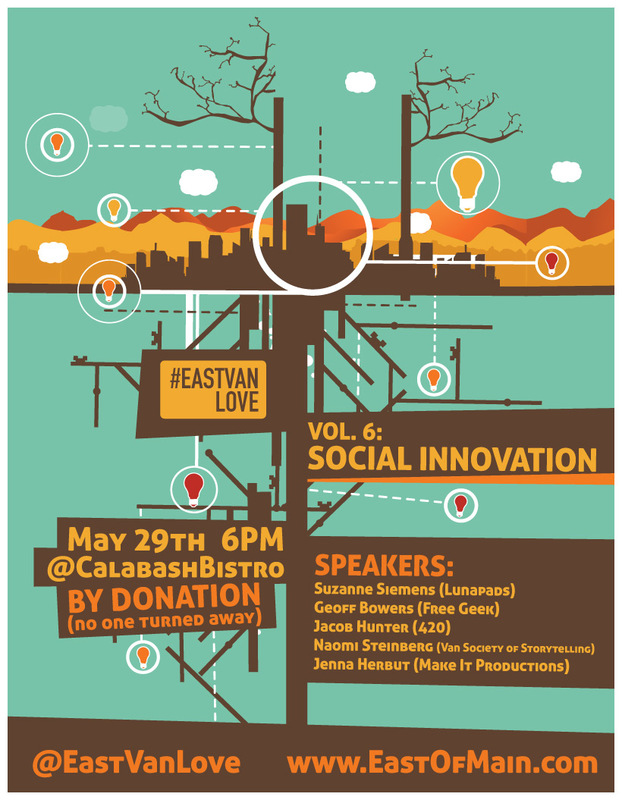 You voted and we listened - our next EastVanLove tweetup will be about SOCIAL INNOVATION (Not cats. Sorry Amy... unless you have a social venture idea about them!). HELP! We're looking for speakers - know anyone who is saving the world but also making money? Send suggestions our way and we'll connect with them (email ong.akc@gmail.com and tweet via #EastVanLove) Keep your eyes peeled! We've got more love in store for you. Don't you worry! There's still a chance for you to get in!We'll be opening our doors at 6PM. Hang around Hai Phong. If seats are not filled by 6:30PM, we'll be letting some lucky people in. If we are at capacity by 6:30PM, we unfortunately will not be able to accommodate you. But stick around because by 8PM (when the program ends), everyone is welcome to come in! #EastVanLove is happening in 4 days! Gosh, we're excited! Here's the schedule and a few quick reminders about the event. 6:00 - Doors open. Come early to save a seat! 6:40 - Welcome to Hai Phong! If you have a ticket but you are unable to attend Please let us know so other people on the waitlist can go! Email ong.akc@gmail.com to cancel. Here's the list of speakers presenting at the EastVanLove tweetup vol. 5. To learn more about the event, click here. Ilana Labow loves being a neighbourhood farmer. As the co-founder and director of Fresh Roots Urban Farm, her wide range of experience comes from community centres, vocational skill development and working with people who use sustainable agricultural methods to build with cultivate. When not playing in the fields, Ilana dances, laughs and loves drinking coffee on her stoop. Richard Wolak is the founder and editor of VancouverFoodster.com, a blog he founded in July 2009. He has been writing about food since 1993 and was a co-author of many books namely, Vancouver’s Best Espresso Spots, Oregon’s Hot Java and Cafes Vancouver. He has written articles for newspapers, online sites and has been featured in numerous media in regards to food, wine and specialty coffee. In March 2012, he became the columnist of “Bar Stars” in Vancouver View Magazine. He will be launching his latest book this spring “Vancouver Foodster’s guide to dining in Vancouver.” In his spare time, he enjoys dining out, seeing films, listening to music and traveling. Brewery Creek Community Garden is a project steered by a friendly bunch from the Mount Pleasant neighbourhood. Their goal was to help meet the increasing demands for urban agriculture while building community. The garden is in its early stages of development with a complete design and a fundraising underway. Presenting on behalf of the garden are Rebecca Brooke, who works in health policy, and Sarah Farina, who loves gardening especially healing plants and flowers. March 22, 2012 Hai Phong 1246 Kingsway, Vancouver GET YOUR TICKETS HERE! What is #EastVanLove vol.5 about? Among food carts and fine dining, many of us overlook the delectable culinary gems hidden in our own neighbourhood. 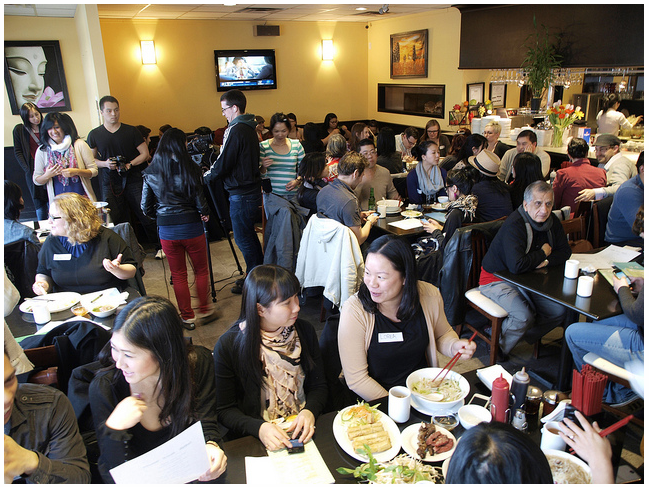 On March 22nd, the fifth volume of the EastVanLove Tweetup is about “Food in Your Community”. After all, Vancouver is undoubtedly famous for its ethnic diversity, innovative cuisines, and strong West Coast tradition. Join EastVanLove as we explore the communities east of Main Street and discover a world of sustainability, urban farming, social dining, and collaborative food development. #EastVanLove is a hashtag that links like-minded tweets together on Twitter, and allows us to share information and to have conversations about our love for East Vancouver, its culture, and its community! A tweetup is an event where people who tweet come together to meet in person. Show your East Van Love by joining us on March 22nd! East Van Tweetup Vol. 2 - a huge success!! Check out #eastvanlove in the MEDIA [Georgia Straight]! MAD PROPS to all you east van lovers who made it such a fun night!! + DID YOU KNOW - you all tweeted so much #eastvanlove trended #1 in Canada!! LOOK OUT FOR VOLUME 3 Coming to an independent cafe / restaurant near you soon :) + Vol. 2.5: we're hoping to getting a tour of Brennan's communal house + getting our hands dirty in his garden! + HAVE A SUGGESTION on a location, speakers or wanna help out? Shoot me an email (ajay at eastofmain.com). ps: don't forget to watch the NFB's documentary on Whistling Smith (retired beat cop who worked in the DTES back in the 70's)! The moment West Coasters have been waiting for... SNOW! Despite us loving the rain and the temperate climate, all the skiers and boarders out West wait all Fall for the start of another season. And this one is looking like it will be a great one. Vancouver's 3 local ski mountains are opening EARLY this year, almost record breaking start times for all of them. Cypress and Grouse have both opened Today, November 13, 2009 and Seymour will be opening next Friday Nov.20. And it seems this all just happened as 15cm+ of FRESH snow just came last night! In regards to Whistler Blackcomb, conditions are also great 100cm base) and they are having an early opening tomorrow Saturday November 14, 2009! Watch video for sneak peek. NOTE: Grouse and Seymour are UNAFFECTED by the Olympic games in terms of closures, but Cypress is heavily closed. Be sure to check their websites for further updates as there may be crowds. So be sure to get out your skiis and boards, and come join East of Main on the slopes! Be Proud to be Canadian. Not because of the actions our political leaders are taking but because of fellow Canadians who've taken action. While Harper is having back-door dealings to further expand the tar sands, eating donuts + is trying to lead the anti-Kyoto movement at the UN talks, ordinary Canadians (thousands upon thousands) joined the international rallying for climate action. Saturday Oct. 24th 2009, the world saw the largest day of action ever, part of the www.350.org | www.tcktcktck.org campaign for climate action. According to the 350.org organizers, Canada had the second highest number of events in all of the world. Around Canada there were hundreds of events including the one our colleagues organized in Ottawa - where 2000+ came out. Be Proud to be an East Van'ner. The largest event in Canada was held in Vancouver, where over 6000 rallied in the green movement (marching from Cambie Bridge over to Science World for an all-day long celebration filled with music, food, and an eco-fair | Full Details). Canadians Care - Climate Action NOW! For all those who made it, THANK YOU FOR COMING & SUPPORTING THE PROGRESSIVE MOVEMENT. The event was an outstanding success because of all you.